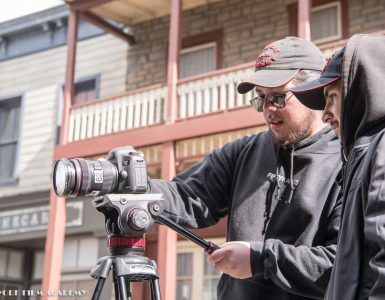 At the New York Film Academy, we are big believers in the idea that understanding all different aspects filmmaking offers a huge advantage for aspiring artists — an advantage that can pave the way to all kinds of creative successes. 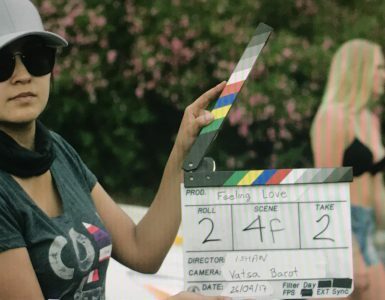 NYFA Cinematography Conservatory grad Sapra (2009) is living proof that being able to approach the entertainment industry from multiple angles is sure to come in handy. The dynamic artist is many things — rapper, actor, director, producer, cinematographer — and now he has just dropped his own music video, Love Trumps Drugs. Sapra took the time to catch up with the NYFA Blog to speak about his experience making his own music video, and what it’s like to forge a truly unique path as a multi hyphenate artist. 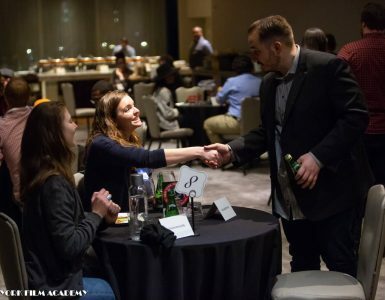 NYFA: First can you tell us a little bit about your journey and what brought you to the New York Film Academy? 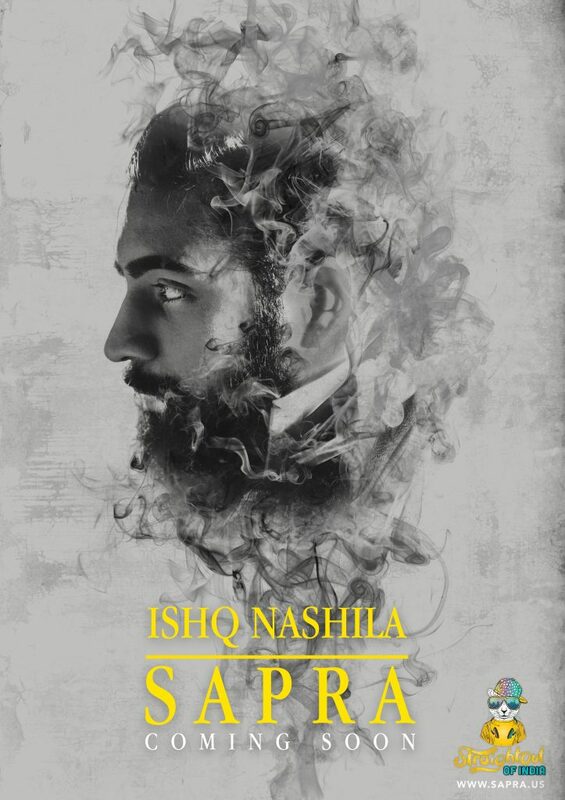 Sapra: I was born in New Delhi, India, and started playing instruments as a kid. I was auditioned for a theater show randomly when I was bunking a class and that got me a lead part in a big theater production. That started my acting career. I got a taste of what it feels like to be in front of 5,000 people at an early age and I got addicted to the fun of performing. I remember while all of my school friends were studying in seventh standard and I was touring with my high school all over India. So I got to skip the classes! In college, I was a theater performer, emcee and an event manager. I had my own event management company called Beyond Exclamation. This was in my first year of college. After doing a lot of that, I wasn’t able to really reach out to millions of people, I was performing for thousands. So the yearning to learn film got me to NYFA. I started with studying film and cinematography, and then ventured into acting for film. NYFA: Love Trumps Drugs is very polished, romantic, and high-energy music video. Can you tell us a little bit about what inspired the music and the story? Sapra: I see the youth involved in all kinds of substance and I also see adults fancying the use of marijuana. I had a personal encounter where female friends of mine would use marijuana and become delusional and act weird. I also saw a lot of my talented friends leaving back for their country get involved in things they should have stayed out of. What I found common in all of them was abuse of such drugs. I saw people who were more talented than me giving up because the drug made them weaker. So I thought of an interesting way to entertain youth and suggest my thoughts. I am not being judgmental about the usage of marijuana in my video, however, I am suggesting a fact. NYFA: What surprised you most during the music video shoot? Sapra: The steady cam guy did not show up, so I had to find someone on the day of. I was the producer on this so it was a challenge juggling multiple things and keeping everyone happy. What also surprised me was the amount of money and time one has to spend to make each frame look good. Also one has to be spontaneous for last-minute story changes. NYFA: Were there any challenges in creating this music video, and how did you overcome them? Sapra: Budget was a challenge. What we wanted was not cheap. Our financier backed out two days before the shoot, so I had to take out a loan. The rest was easy as I had a great team. NYFA: What advice would you share with our NYFA students who want to produce their own music and music video? Sapra: Los Angeles is a producer’s paradise — you can make anything happen here! You can work with the best of the best people and teams if you hang tight. The best part is that it doesn’t matter if you have money or not. What matters is whether you are ready to put in the work. My agent, Jon of JS Represents, says Los Angeles is a one-way move. Once you are here, get financially stable first. Make this your home and keep on your career, and you will find yourself where you want to be. The industry will cast you when they are ready for you in their time. So hang tight and don’t give yourself a time limit. NYFA: What is next for you? Any upcoming projects you can tell us about? Sapra: I am looking for distribution for my next music video Coco, which is my favorite of all. I filmed it in Mammoth. I have produced the video and it’s directed by my decade-old friend AB Chandra. I have two more videos in pre-production and a series I am casting for — and guess what? All this with no financial support from anyone! NYFA taught me in the beginning: DIY (do it yourself). I have the best mentors and team in the world. I am the lead actor/rapper and producer in all the productions. NYFA: Would you say your time at the New York Film Academy was at all useful for the work you are doing now? Sapra: Yes, NYFA taught me a lot. They supported me after completion of my course. They had great follow up. Dan Mackler, Michael Pessah, and Kirill guided me throughout my stay at NYFA. NYFA gave me a jump start and gave an overall understanding of Hollywood and filmmaking in general. Doing multiple projects and finding ways to make them happen without any resources is a part of the great training one can get from NYFA. You can be the best writer, actor, or director, but if you don’t consistently produce your content you may not be seen for years in the industry. That’s what NYFA taught me. The New York Film Academy congratulates Sapra on his exciting music video launch. Check out Love Trumps Marijuana, Coco, and more from Sapra, coming soon!